I’m enjoying a little time off from strictly following the Challenge rules, but can’t wait for the next session that starts on September 13th. 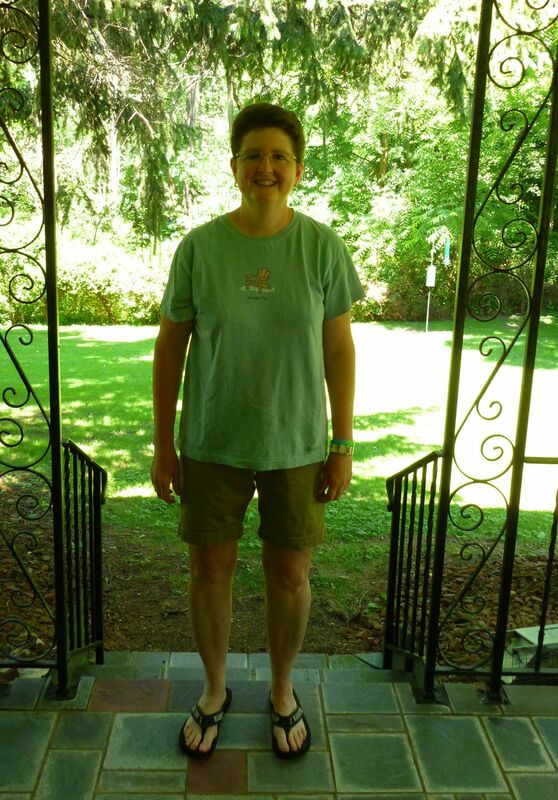 In this interim time, I’ve maintained my weight, continued to exercise, am drinking only water (with an occasional iced coffee for “medicinal purposes”). 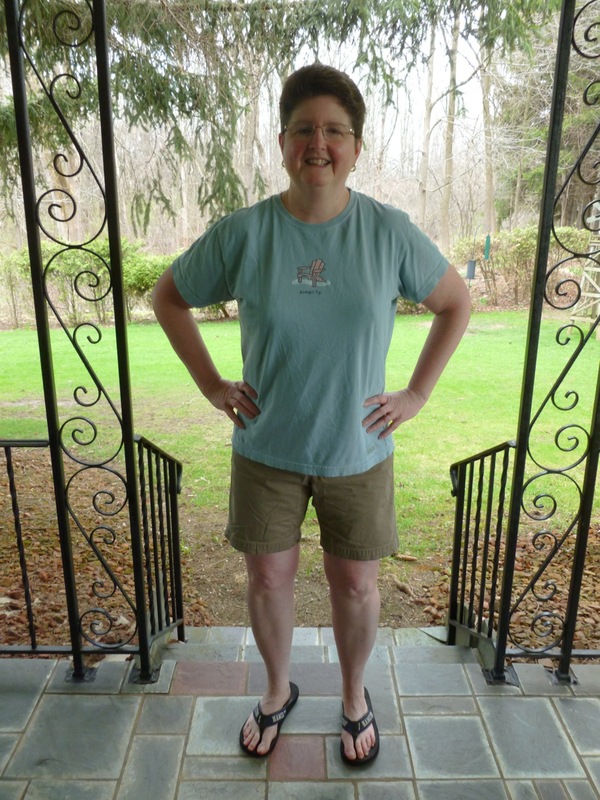 In short, many of the changes I made as result of my first WLC session have stuck. I never want to go back to my pre-WLC weight or bad habits. If you’re looking for a fun way to make food, exercise, and lifestyle changes, I wholeheartedly recommend participation in the Fall session of the Whole Life Challenge. In fact, I’ve put together a team called “Ink Well” (get it??) that I’d love to have you join. Yes, you! Information about the challenge can be found HERE. If you have questions, by all means send them my way! I’d love to do the fall challenge with my pen friends! I picked up this trio of Nock Co. offerings a number of weeks ago, and though I knew they’d be something I’d enjoy, I had no idea how much I come to RELY on them. All day, every day. On vacation, at a conference, at work, in the car, and just knocking (haha…pun alert) around the house, I’m constantly grabbing for this ultra-portable set of tools. The Fodderstack is constructed of 1000D Nylon with DWR coating. That is, it’s tough. I chose the Steel color because it looks good with just about any pen. The interior is lined with nylon pack cloth— Blue Jay, in my case. I like the pop of bright blue peeking out of the top of the case, AND it looks great with my Nock Co. x Karas Kustoms Exclusive Render K with its gorgeous blue cap. The Fodderstack measures 5.125″ x 3.25″ which means that it’s designed to hold a stack of Nock Co’s DotDash 3×5 cards. 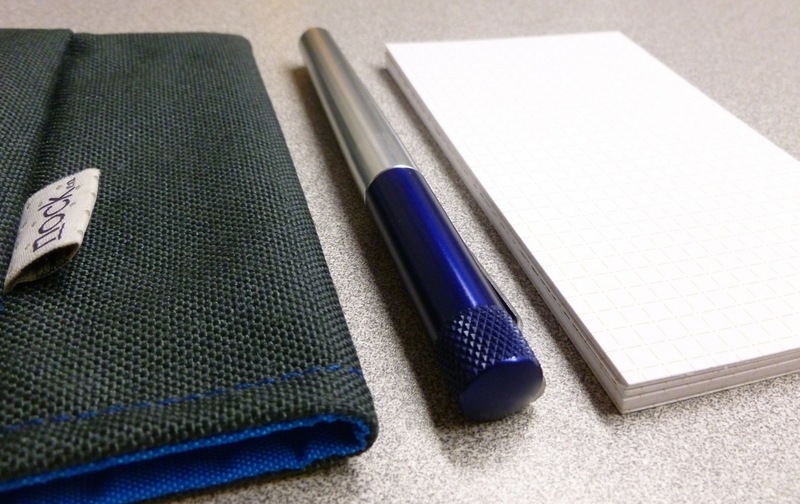 A separate, slim outer pocket holds a pen or two, while the inner pocket holds about 20 of the sturdy, gridded note cards. 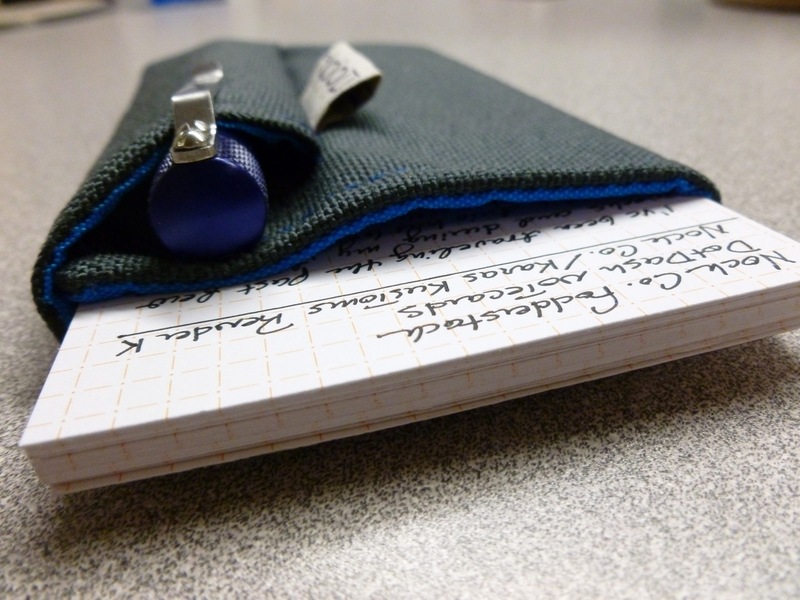 I use them for EVERYTHING— grocery lists, to-do lists, my DC Pen Show “quest” list, phone numbers, directions, airline flight and gate numbers, blog post outlines, meeting notes, you name it. If you’re walking around and doing things, you need these cards. Made of 80 lb. 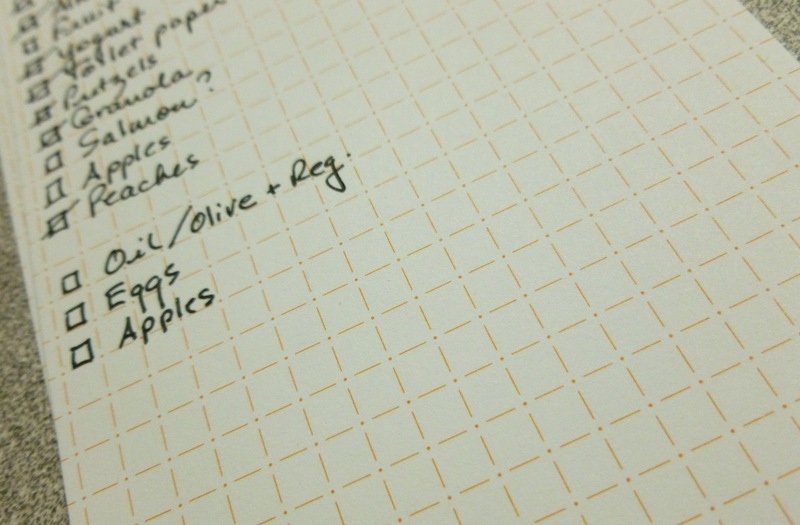 cover stock, and featuring an orange DotDash pattern, the 4.25mm grid is absolutely perfect for documenting all the stuff that flies at me during my day. They’re printed on both sides so I can fit A LOT of information on one card, thanks to my fairly precise handwriting. While I’m usually using my Nock Co. 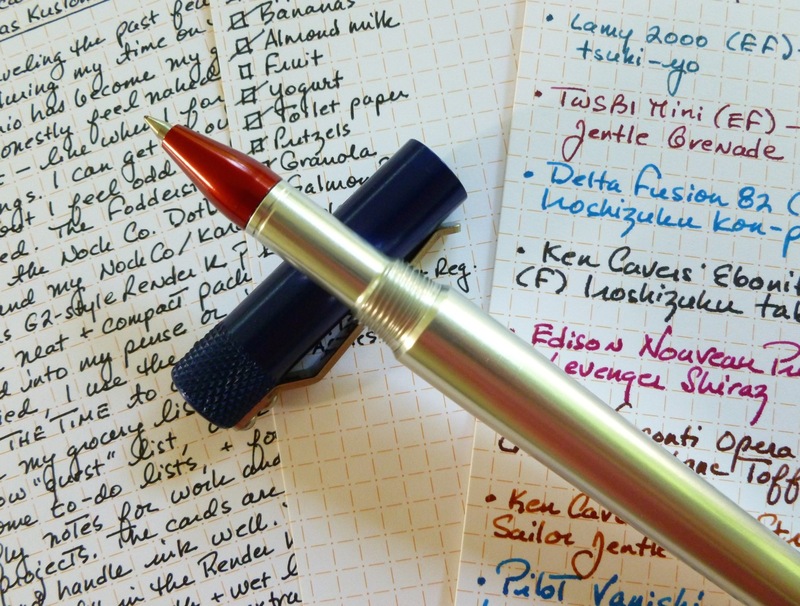 Render K with a 0.5 mm G2 refill, the cards are fountain pen friendly, especially with extra-fine and fine nibs. 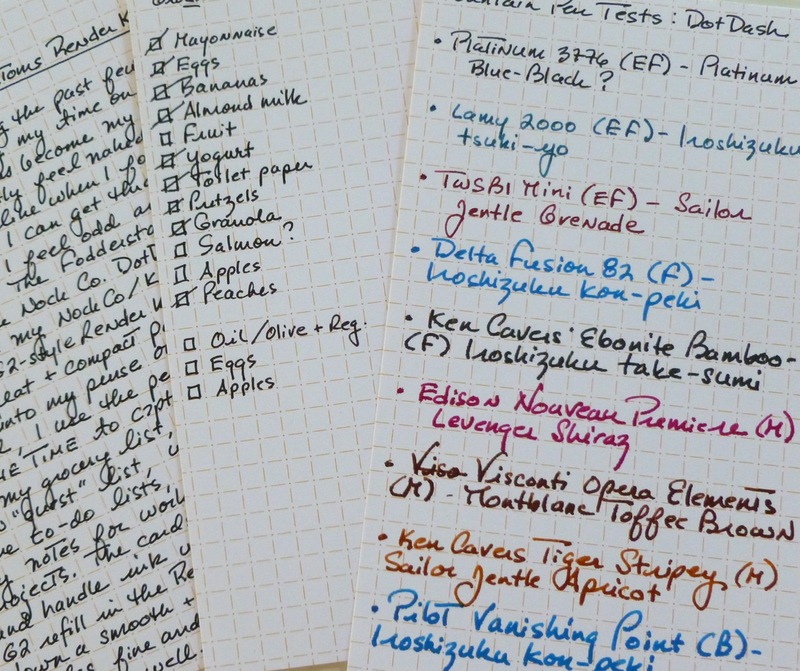 There’s a bit of feathering with medium and broad nibs, but even that is better than anything I’ve seen when using fountain pens on index cards. Impressive. The pen that knocks this trio out of the park is the Nock Co. x Karas Kustoms G2 model Render K. Even though I already have a fistful of Render Ks— plain aluminum, orange, Delrin, and raw— I couldn’t pass up the chance to own one of these exclusive (but not limited) joint Nock Co./Karas Kustoms offerings. 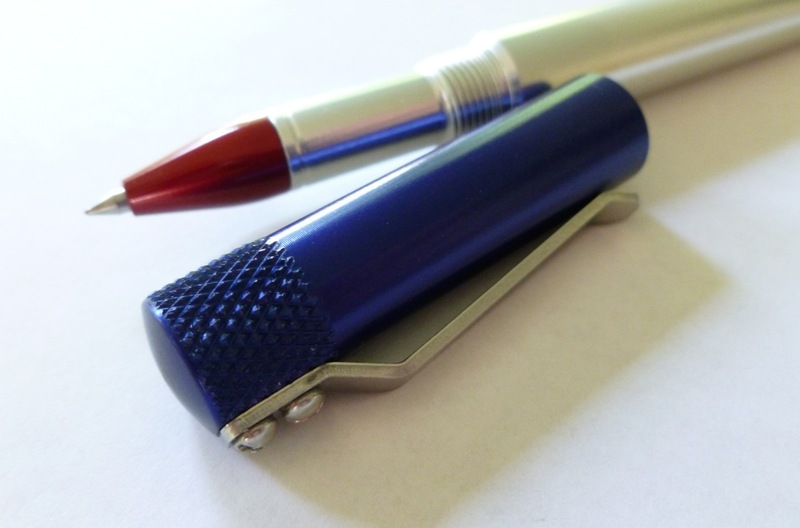 You’ll only find this color combination— aluminum body, blue cap, red tip— through Nock Co. The rich colors really pop in contrast to the shiny aluminum body. The Render K is made of 6061-T6 aluminum (good stuff), and weighs 1.1 ounces. The screw cap, which features a sturdy clip and accent knurling (mmmmmm…knurling), doesn’t post. 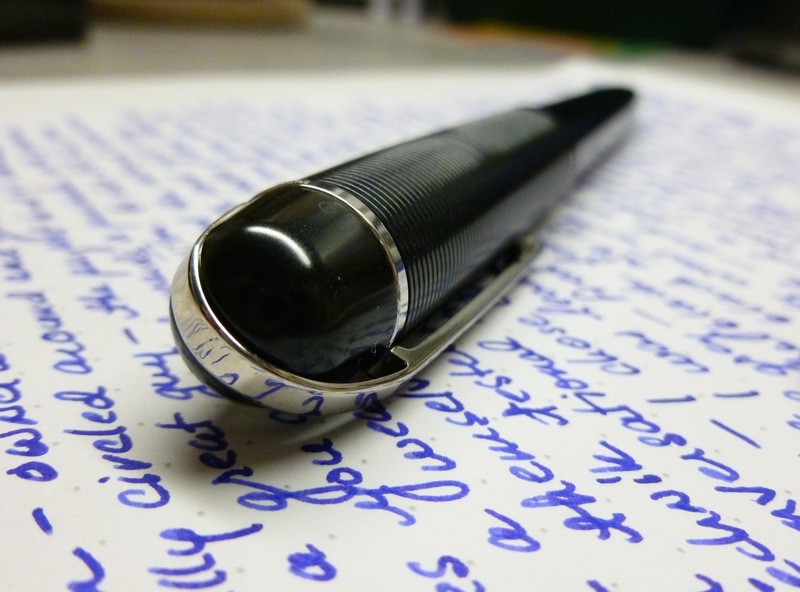 Measuring 5.125″ capped and 4.92″ uncapped, the pen feels great in hand. 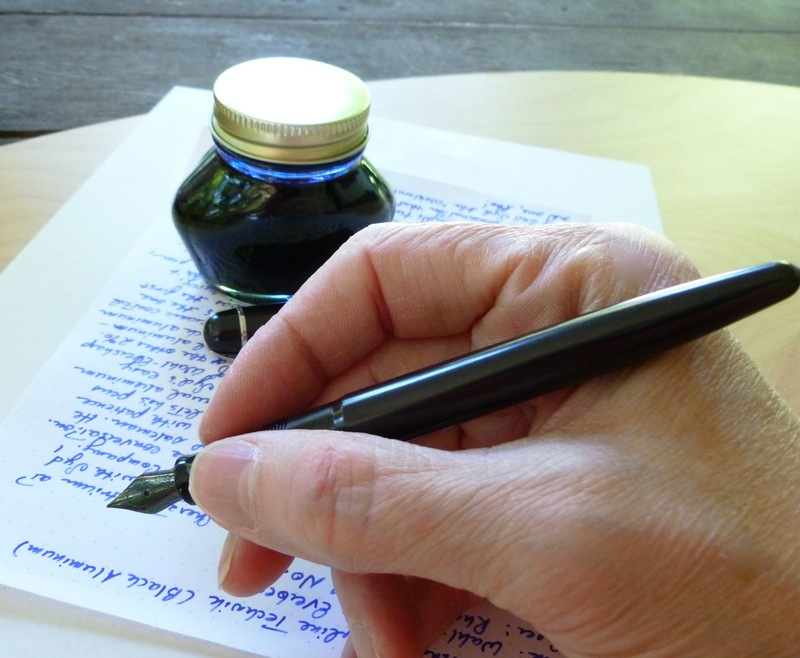 The pen DOES NOT ship with a refill so you’ll have to provide your own. 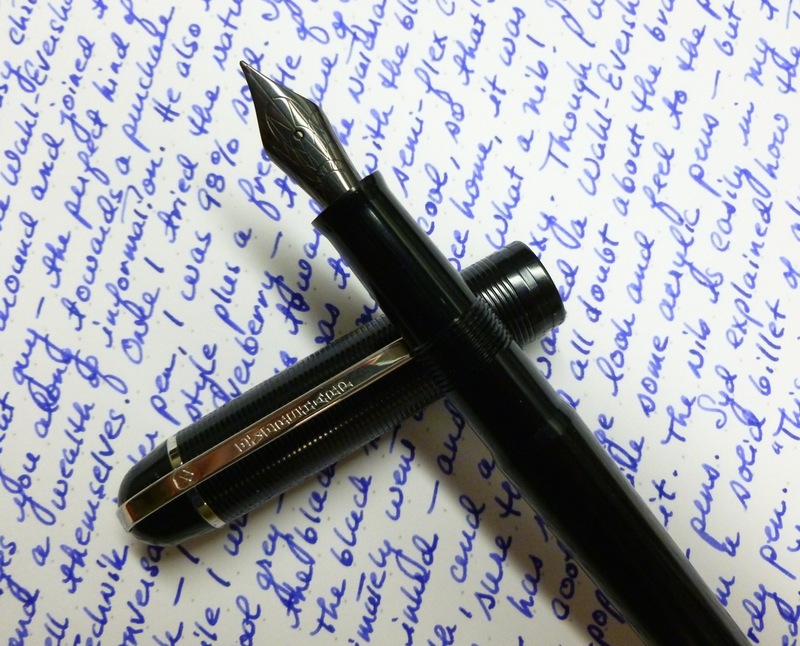 I’ve installed a Pilot G2 0.5 mm black refill, though others swear by the 0.38 mm tip size. 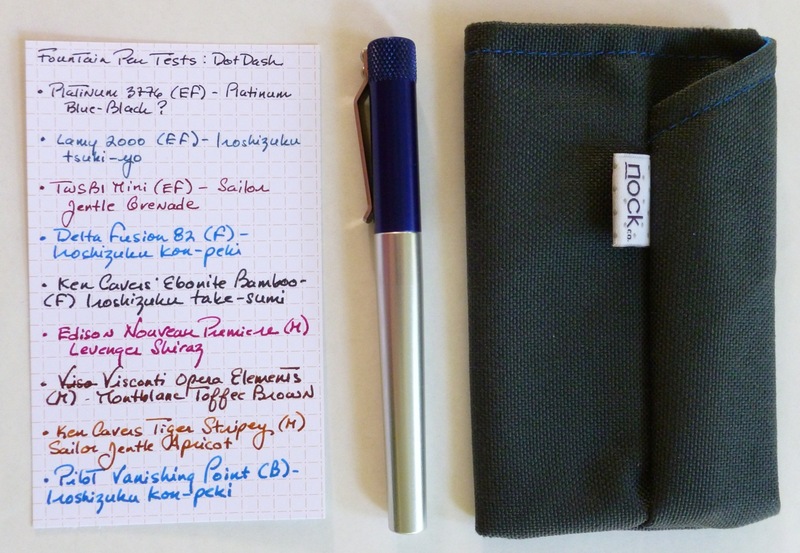 The whole Fodderstack combo— case, cards, and pen— is just slightly larger then my iPhone 5 so it’s an easy item to carry in hand, or in my purse or messenger bag, which is why it is ALWAYS with me. On the rare instance that I’ve left it behind, I feel undressed, like when I forget my earrings. Ugh. The Fodderstack has become as important to me as my phone. It’s well-designed, well-made, and fun to use, just like my phone. Nock Co.’s Fodderstack, DotDash cards, and exclusive Karas Kustoms Render K have become must-have tools for navigating my day. 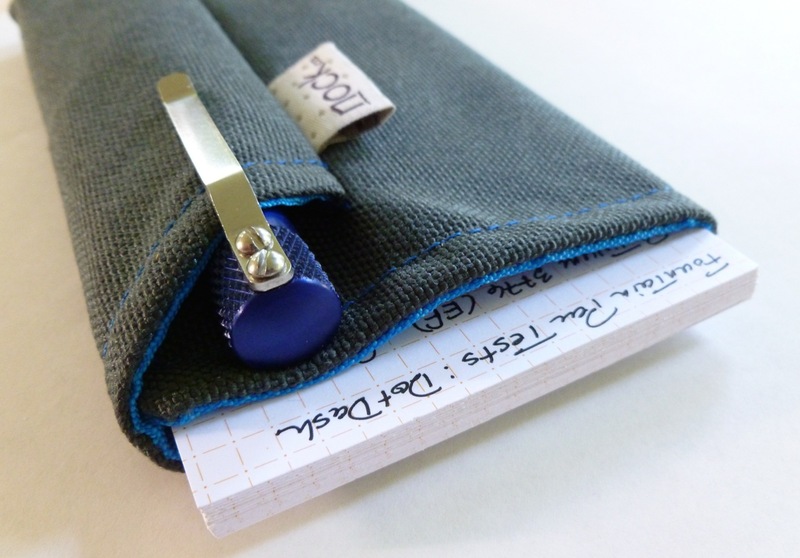 At work and at home, in the car and in the office, they’re perfect for capturing notes and lists, numbers and names, directions, and requests. Or doodling. Even doodling is fun. How did I live without my Nock Co. Fodderstack, DotDash cards, and Nock Co. x Karas Kustoms Render K?! Darned if I know. 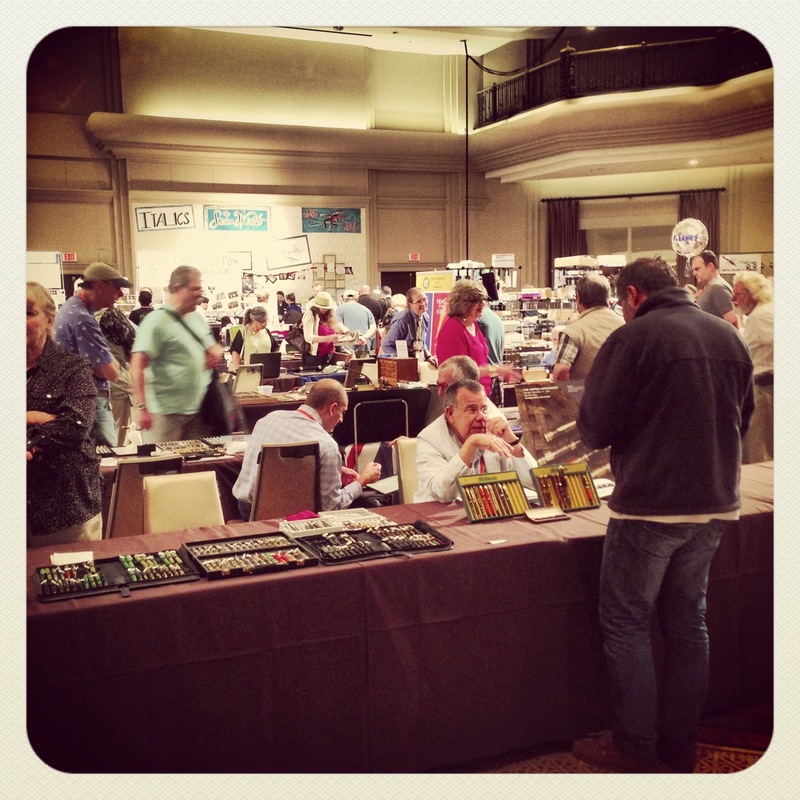 You can check out EVERYTHING Nock Co. has to offer HERE. Color options for the various cases can be found HERE. 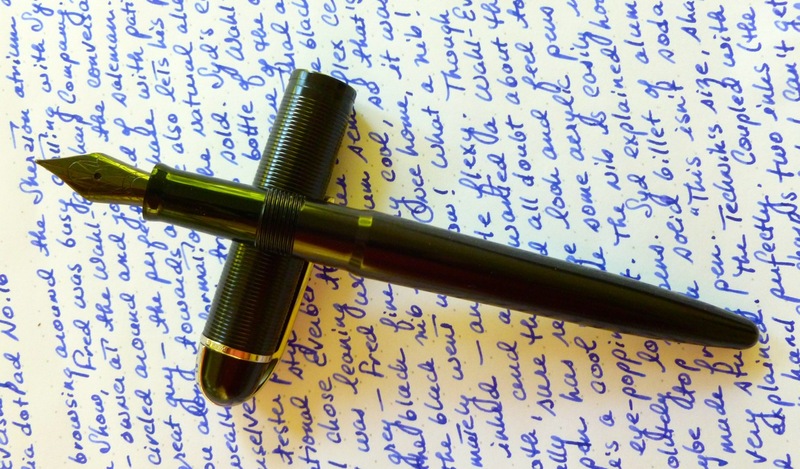 Many thanks to my friends at JetPens for sponsoring my purchase of the pen reviewed here. 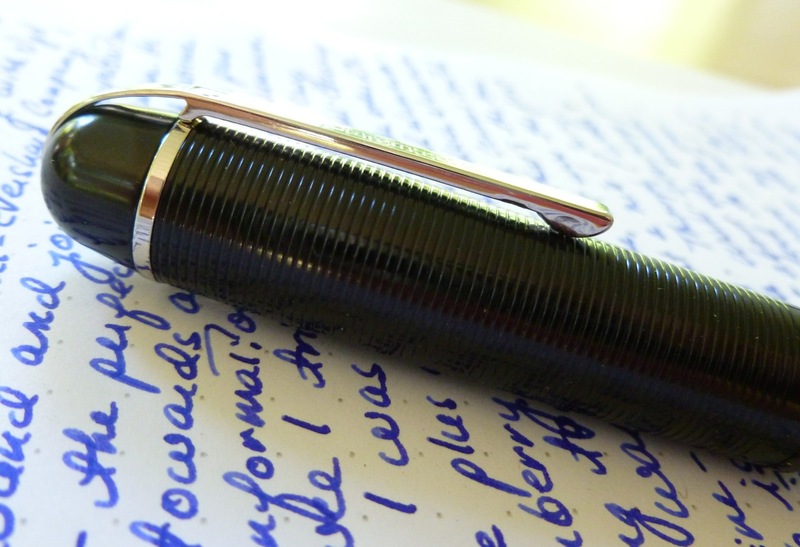 I was not compensated in any other way and this review describes my experiences and observations with the pen. 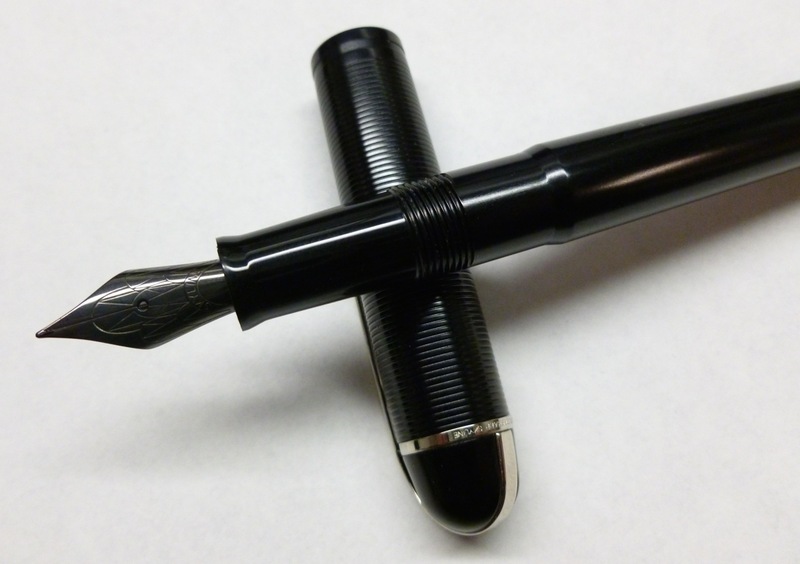 The Retro 51 Tornado Touch is both dapper and darling. It’s a teeny thing, but still packed full of Retro 51 goodness. 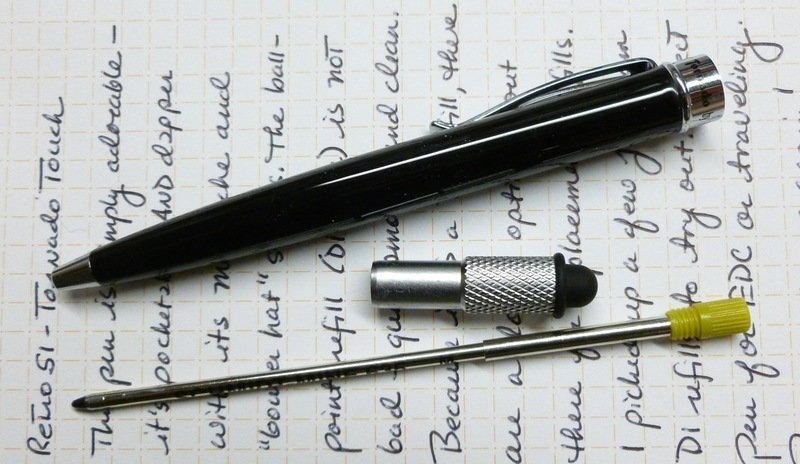 At 4-3/8″, this isn’t a pen that you’ll want to use to write a novel, but for jotting down a grocery list, signing paperwork, or capturing on-the-fly notes, it’s ideal. Ideal AND classy. This is a “honey, I shrunk the pen” version of the standard Retro 51 Tornado, with a couple of bonus features that add to its charm. 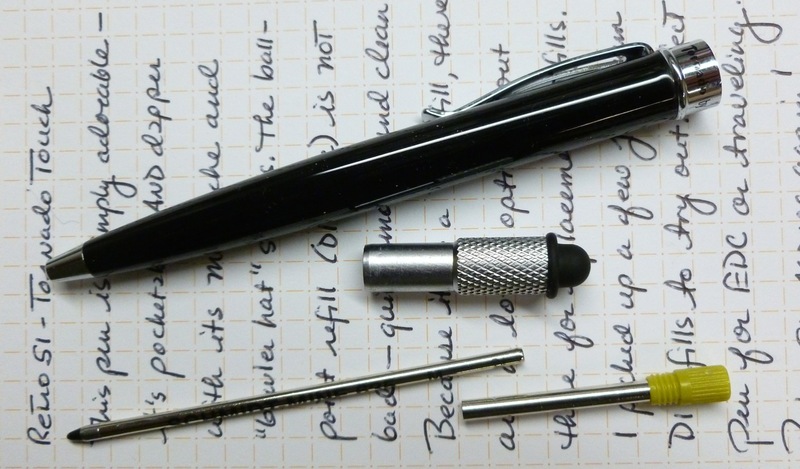 The first is the “bowler hat” stylus on the end of the pen. As a kid, I used to religiously watch “Family Affair“— a sitcom that featured a British butler named Mr. French. Mr. French typically wore a suit and a bowler to run errands (as you do). 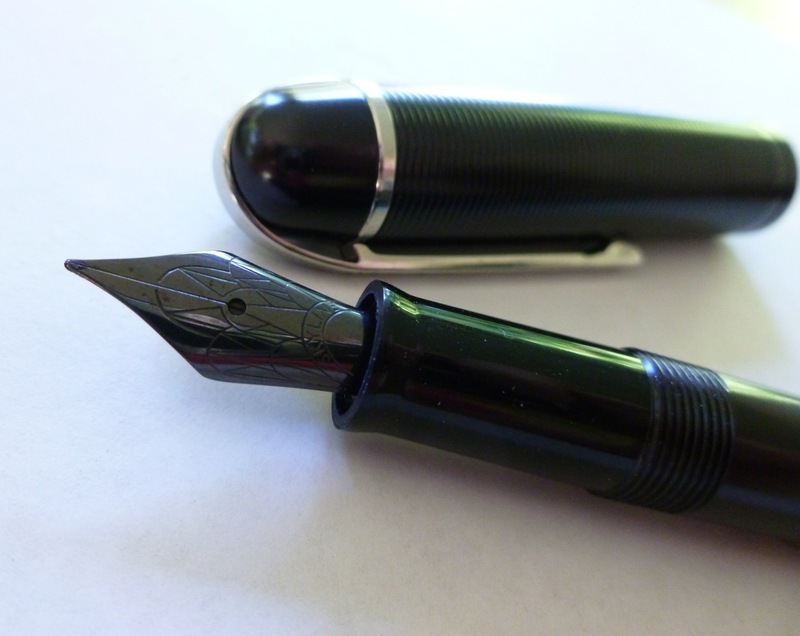 Whenever I look at the Retro 51 Tornado Touch, I picture good old Mr. French, his smooth manners, and lovely accent. The stylus is not only stylish but works very well on both my iPad and iPhone. 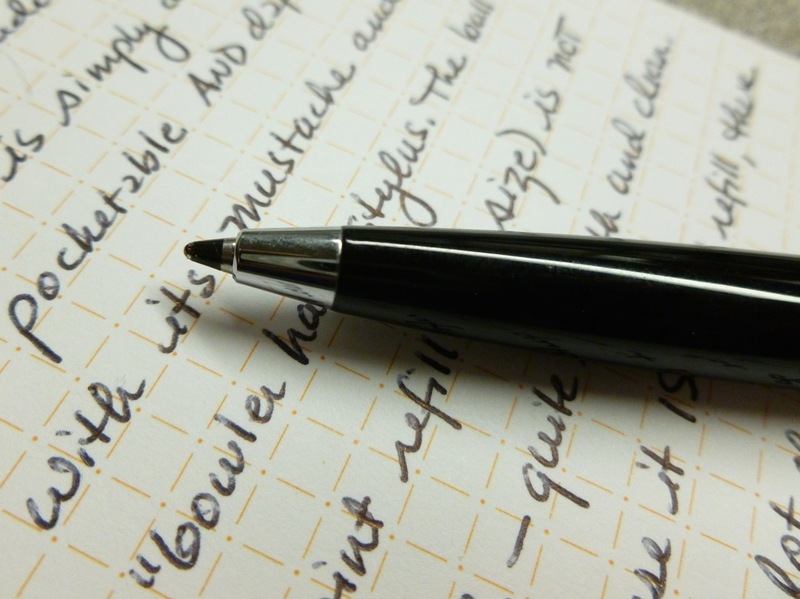 In fact, it’s one of my favorite styluses (stylii?). I rarely have to repeat a motion while typing or swiping through pages or dragging letters around on the Words With Friends board. Very responsive. 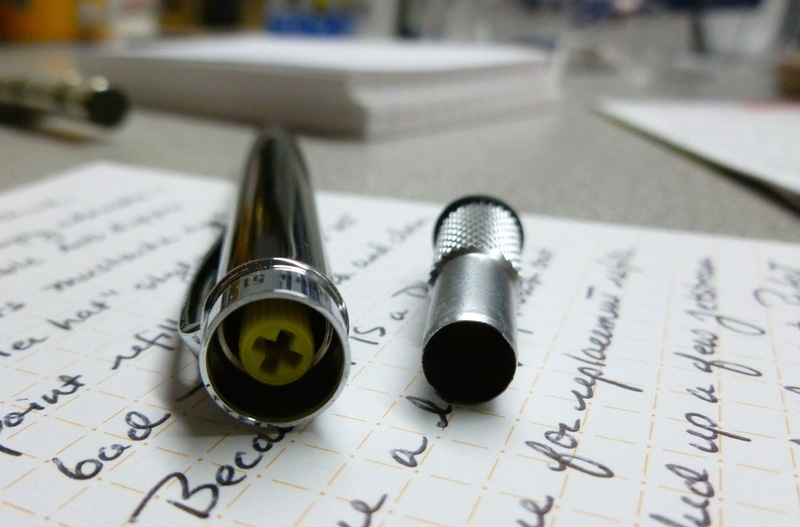 The D1 refill that comes loaded in the pen is made by Schmidt and writes quite well for a ballpoint. What’s great, though, is that because the refill IS the D1 style/size, there are plenty of D1 refill options available should the included one not thrill you. 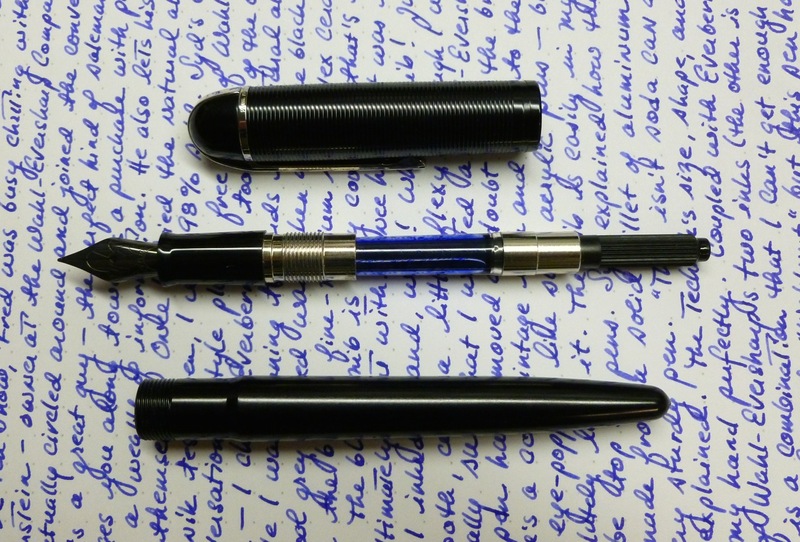 I picked up some Uni-ball Jetstream D1 refills that I’m anxious to try when the the current one needs to be replaced. 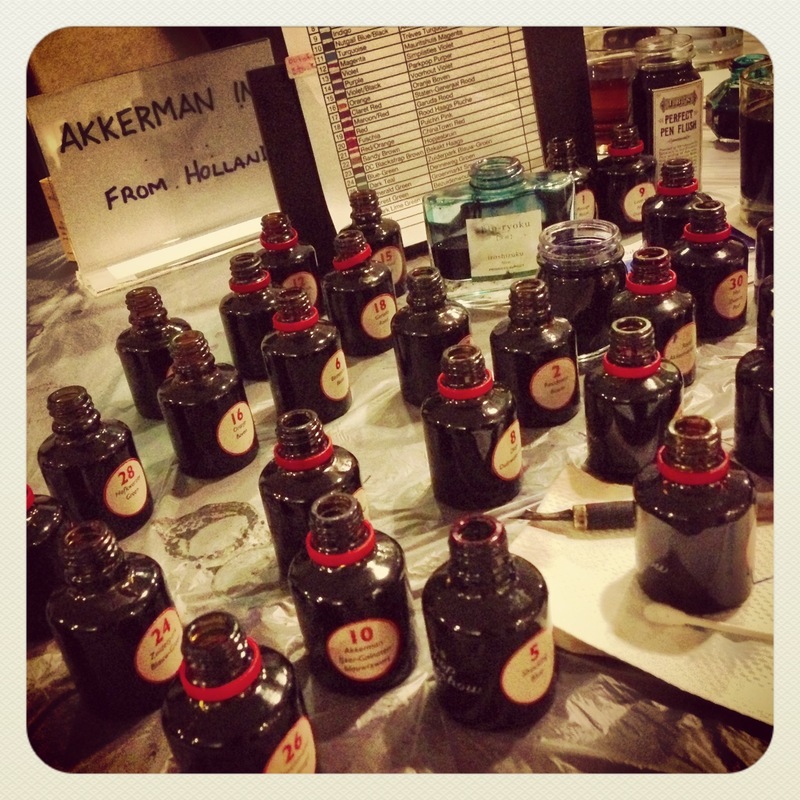 You can also swap in D1 gel refills, if that’s your favorite type of ink. 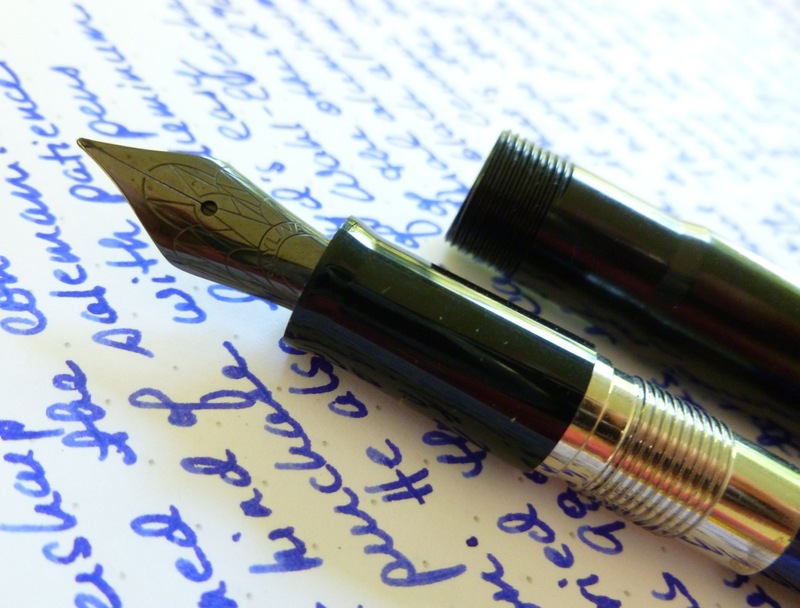 There are plenty of ways to make the Retro 51 Tornado Touch your own, ink-wise. 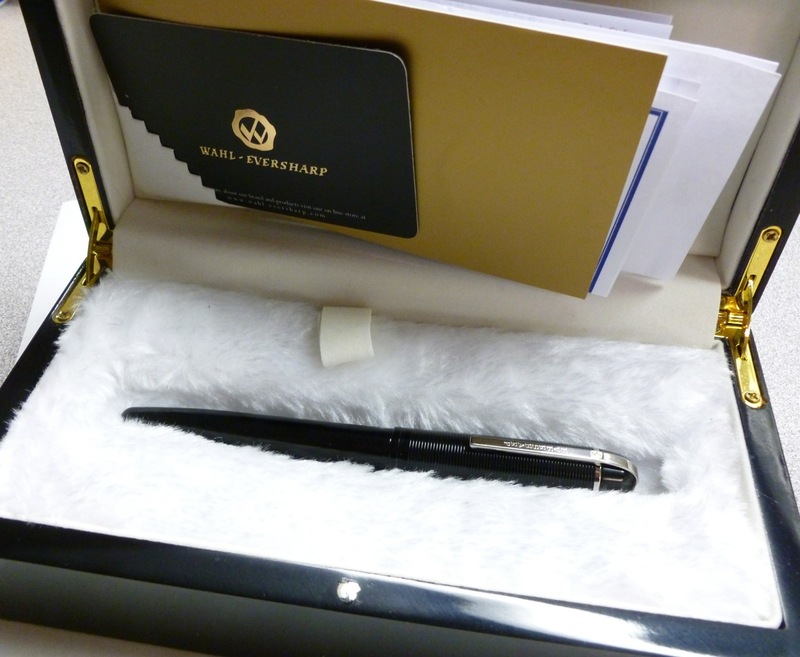 If there’s any downside to this pen, I’d say it’s the price. At $27 from JetPens, it costs a few dollars more than many of the standard size Tornado rollerballs. 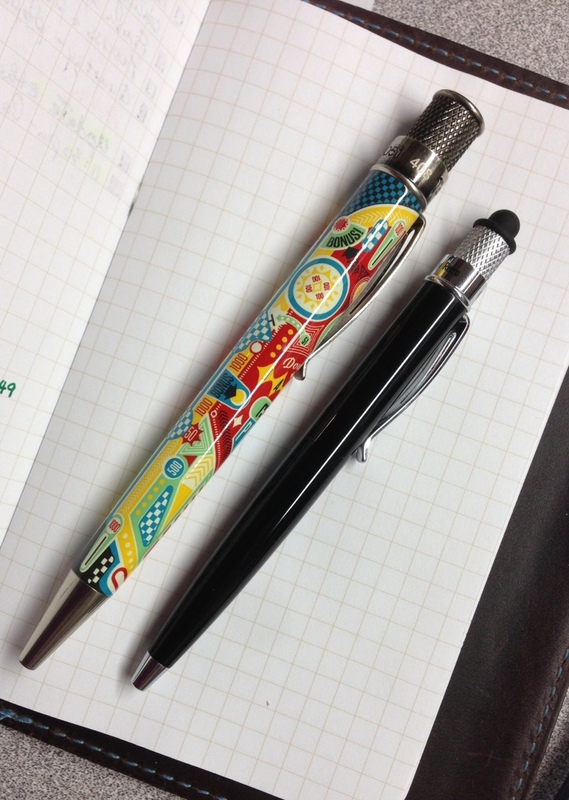 That said, the small premium buys you an awfully cute pen that successfully combines both novelty and panache. That’s a tricky combination, but Retro 51 pulls it off with ease. 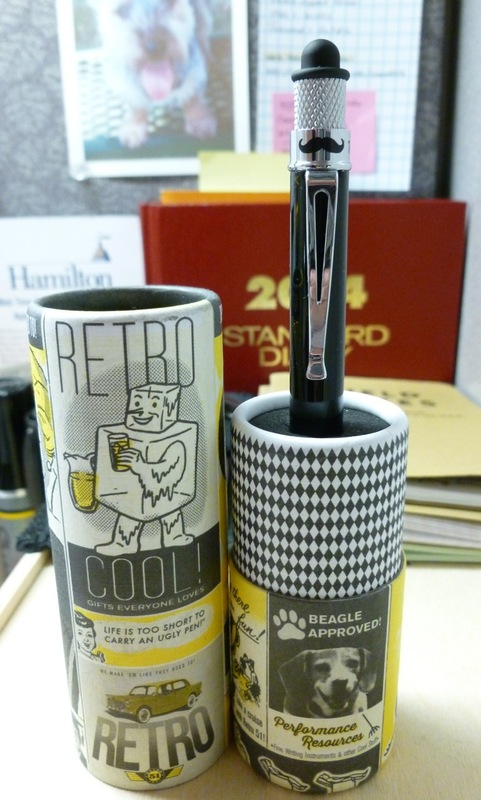 The packaging is a scaled down version of the usual Tornado tube, and it’s as adorable as the pen inside. 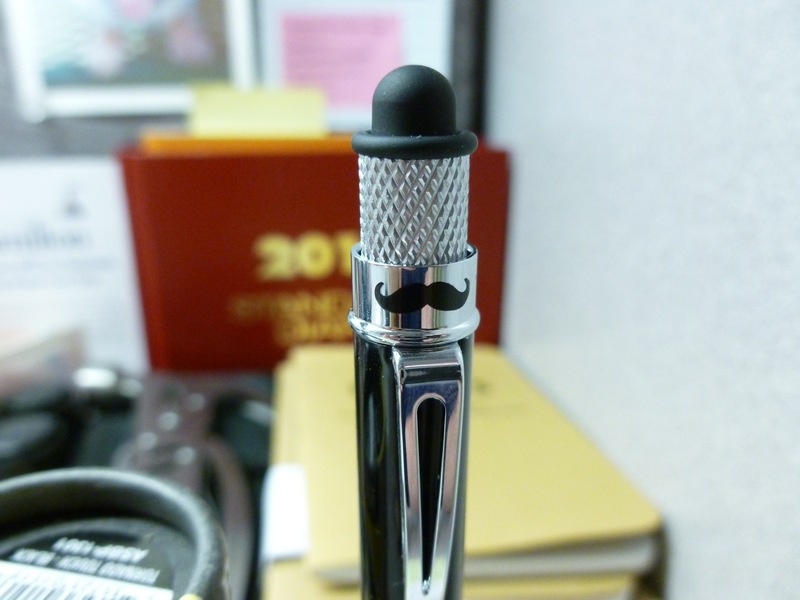 The Retro 51 Tornado Touch is a cool little pen that oozes charm with its distinctive bowler and well-groomed mustache. 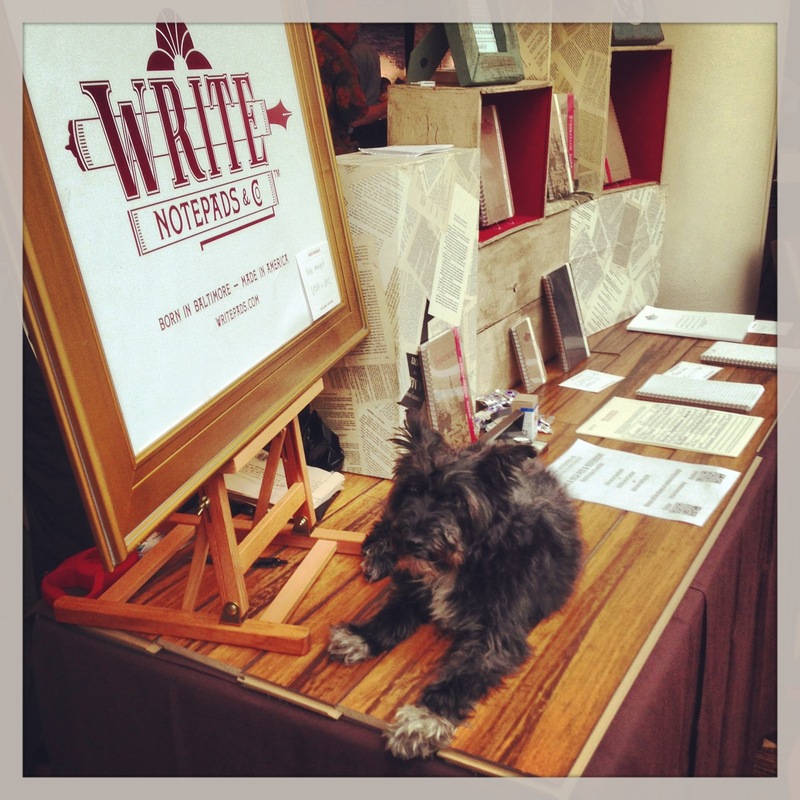 It’s dapper, dashing, and debonair; both well-groomed and well-designed. 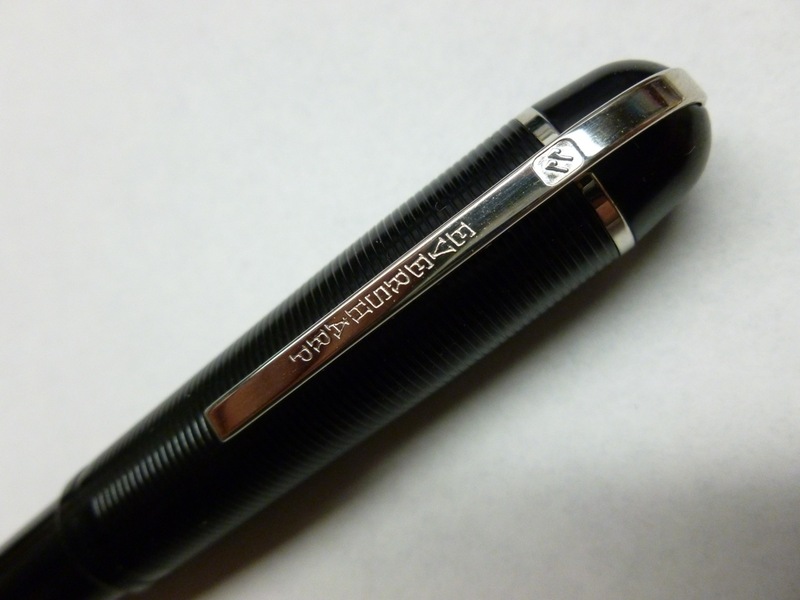 If your everyday carry needs just a little more class, this is your pen. 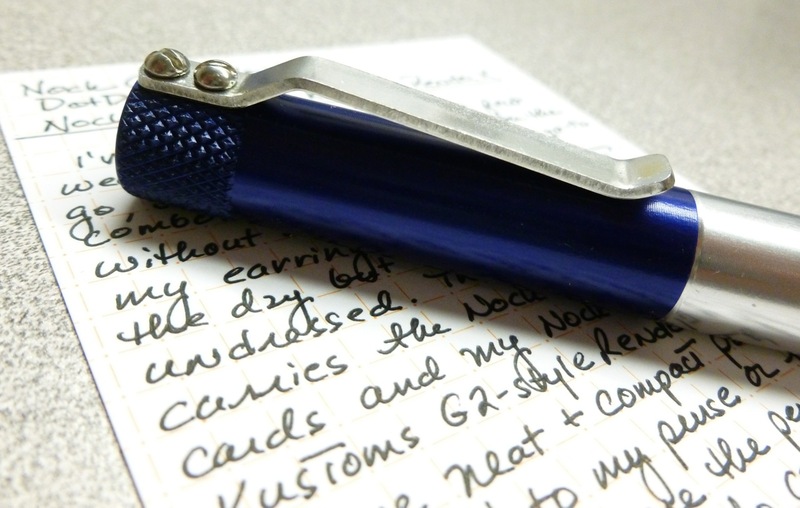 A very good writer with an excellent stylus and lots of D1 refill options, it’s another clever AND solid offering from the folks at Retro 51.